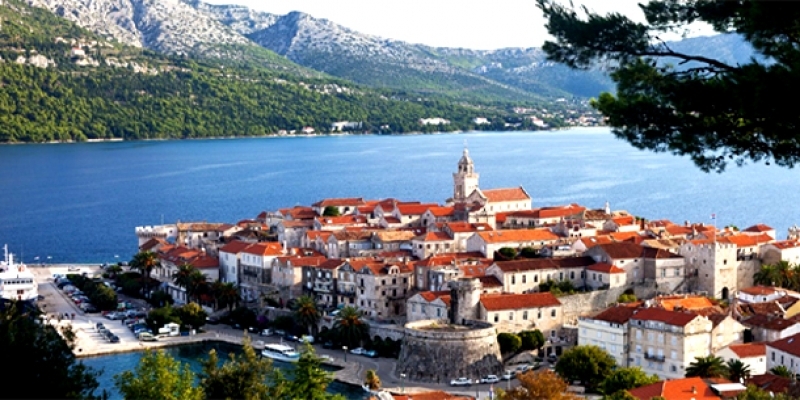 This 07 day tailored Croatia travel itinerary covers some amazing sites & wonders. Explore the National Parks of Plitvice & Krka, stroll through the cities of Zagreb, Split & Dubrovnik with enjoy an island getaway in Korkula. This itinerary is a mix of regular group and private guided day tours, best of both worlds. Very flexible and can be tailored to suit your travel dates, duration and where you would most like to visit. Breakfast, check-out and take advantage of a group transfer from Zagreb to Split including a tour of NP Plitvice Lakes. At agreed time depart from the hotel on a comfortable drive to NP Plitvice Lakes. On the way make some stops with view points. Upon arrival to Plitvice Lakes National Park, accompanied by a tour guide, visit the whole park area with its 16 lakes connected by waterfalls and cascades. After the lunch break and time spent in the park start the onwards drive with drop off to hotel in Split. Overnight in Split. 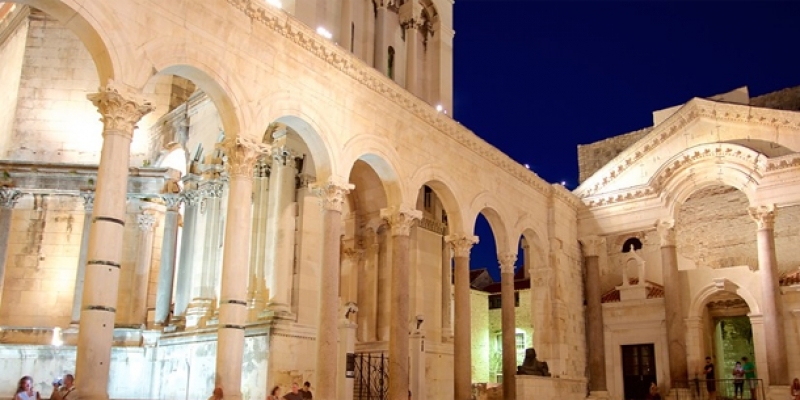 Enjoy a 3hour private walking tour of Croatia’s second largest city, Split. Hear the local myths and legends about the Roman Emperor Diocletian who decided to spend his last days in this sunny harbour. Here he built the amazing Diocletian palace, which is now a UNESCO World Heritage site. Over time the palace has changed to become the city centre. Within the palace walls there are 220 buildings blending contemporary and ancient Roman architecture which have been converted into bars, shops and restaurants. The remainder of the day & evening is then free at leisure for you to further explore on your own, take a walk or have a coffee with locals on the “Splitska Riva” (city promenade). 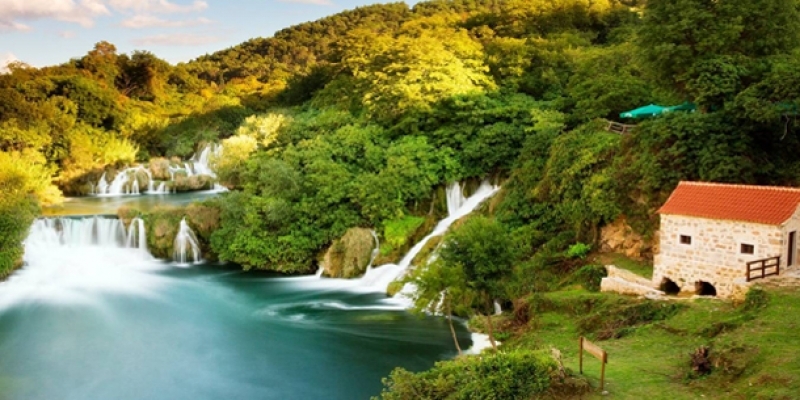 Today join on a regular group excursion to Sibenik and Krka waterfalls. Begin with drive along the border between the coast and the hinterland on to Krka National Park and Skradinski buk, one of the most wonderful natural beauties of Croatia. The guided tour includes a fascinating walk through authentically restored small stone houses, workshops, exhibits and watermills. Then a nature walk to enjoy the rich diversity through a network of forest pathways & wooden bridges. After about 90 minutes, a minivan will then take you to Roski slap, a beautiful & quiet, untouched nature area situated in the upper part of the Krka river canyon, perfect for swimming and relaxation. During the break you have the opportunity for an optional lunch in a typical Dalmatian konoba (tavern). Along the way enjoy breathtaking views, like the panorama of Visovac Island. Continue to the seaside city of Sibenik, to see its main attractions - including St James’s Cathedral. Return to Split along the beautiful coastal road, passing by picturesque villages, such as Primosten and Marina. Breakfast, check-out and transfer to the port for departure by catamaran to Korkula Island. Meet on arrival for transfer to hotel then enjoy a 1hour private walking tour including entrance to Marco Polo house. Remainder of the afternoon and evening then free at leisure to enjoy as you wish. Breakfast, check-out and depart by morning shuttle bus or ferry on to Dubrovnik. Arrival and meet for transfer to hotel then begin a 3hour private afternoon sightseeing tour of Dubrovnik. Meet your local guide at Pile gate (gate to old city of Dubrovnik) and visit the Rector Palace, see the Bell Tower Clock, Orlando's Column, Sponza Palace, the Dominican Monastery and Franciscan Monastery with its Pharmacy, one of the oldest in the world. *Additional days & nights can be included in Dubrovnik (and other areas of Croatia) if you wish - all you need to do is ask / let us know your wish list.